CANTON, Mass. (July 15, 2010) – Churning 65 never tasted so good! 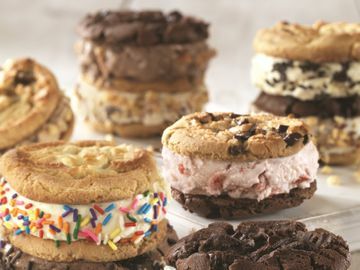 To kick off the ice cream icon’s 65th birthday, Baskin-Robbins, the world’s largest ice cream chain, is announcing the retirement of five signature flavors to its world famous “Deep Freeze” to make room for even more innovative flavors in the brand’s already extensive flavor repertoire. French Vanilla (1945), one of the first flavors launched by Irv Robbins and Burt Baskin, a classic rich vanilla ice cream made with egg yolks. Caramel Praline Cheesecake (1970), vanilla cheesecake ice cream swirled with a caramel ribbon and pralined pecans. Campfire S’mores (1975), milk chocolate ice cream with a marshmallow ribbon and crunchy graham cracker bits. Apple Pie a La Mode (1976), vanilla ice cream with real apple, crunchy pie crust and a caramel cinnamon crème ribbon. Superfudge Truffle (2007), decadent chocolate fudge ice cream with chunks of chocolate ganache and toffee truffle pieces. Throughout the country and throughout the world, ice cream enthusiasts have enjoyed such flavors as Lunar Cheesecake in 1969 and Beatle Nut in 1964. These flavors, inspired by events of the times, currently reside in the Deep Freeze and will be joined by the newly-retired five flavors. 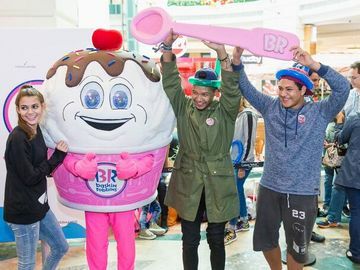 With more than 1,000 flavors in its global freezer and 6,000 locations around the globe, Baskin-Robbins continues to deliver delicious ice cream flavors that delight and please ice cream lovers worldwide. Currently, the Baskin-Robbins “Deep Freeze” holds thousand of iconic Baskin-Robbins flavors. As ice cream lovers’ tastes change, flavors are retired to make room for new creations. The five flavors will be joining many historic, delicious ice cream flavors created over the years, including: Whyte 2K Chocolate Overload, Candi-date, 0031 Secret Bonded and Bobsled Brownie.